A combustion engine is subject to wear and tear. Regular engine overhauls are crucial for preventing breakdowns. Both companies as well as individuals will find a reliable partner at Bols Motors. We are familiar with virtually all car manufacturers, we use only original parts, and thanks to our efficient production process, we are able to keep costs down. Read more about us here. Want to order a refurbished engine? Bols Motors combines years of experience with a fresh, commercial vision. 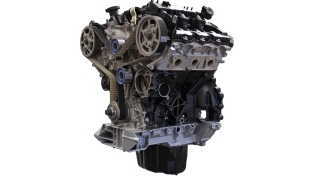 Simply order your refurbished engine online. You will be assured of fast service and competitive prices. Whether you want to do a cylinder head overhaul or are in need of a refurbished engine, Bols Motors is your logical partner. The specialists are ready and waiting for you at our site in Veghel in The Netherlands. Have a look at our catalogue or just fill in our contact form for more information. Our expert mechanics can of course do large jobs – such as engine overhauls – but they also do not shy away from smaller jobs. 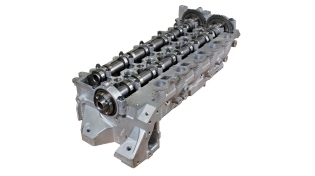 Let us refurbish the rotating parts (cylinders, pistons, bearings, and crankshafts) or involve us exclusively for cylinder head overhauls. Should you choose the exchange option, you will get your desired engine or cylinder heads even quicker. Thanks to an ingenious system of exchange we can provide you with refurbished parts from your desired manufacturer and model. All our products come with extensive installation tips and instructions.